Just I did during the long wait for Kingdom Hearts III, I had all but given up on Crackdown 3 ever entering my disc tray. After years of rocky development, multiple delays, and outright radio silence from Microsoft, I thought I’d never get the sequel to one of my favorite Xbox 360 games of all time. But Crackdown 3 is finally here and feels almost identical to the original game that inspired the troubled series—for better or worse. This is the video game equivalent of a Michael Bay movie. Both have bombastic, over-the-top action that’s entertaining but never goes much further than the explosions it throws at its audience. 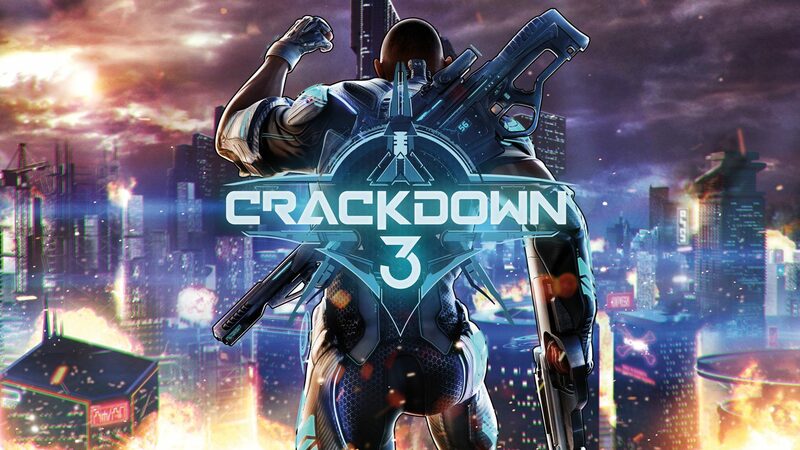 Crackdown 3 is more of a spiritual successor than a sequel to the 2007 hit in that the new game only makes passing reference to the gangs of the original, and the only real connective tissue lies in the organization you work for, the Agency. You play as the Agent, a Captain America–esque supercop bent on saving the near-future city of New Providence from TerraNova. This evil corporation is attempting to wipe out the civilized world through a chemical attack referred to as the Blackout. As a part of the Agency, it’s your job to defeat each crime boss in order to weaken the overarching syndicate’s hold on the city until you face off with its leader, Elizabeth Niemand, and prevent another Blackout from happening. In order to face the challenge that each new boss brings, the player is required to level up their Agent by shooting, driving, punching, using explosives, and collecting agility orbs. If that sounds familiar, it’s because it’s basically the exact same setup as the first game. Let’s start with the good news. Crackdown 3 is fun to play, especially if you’re a fan of the old games. Those beautiful agility and secret orbs are some of the best collectibles in gaming, and one could spend many an hour hunting them on the rooftops New Providence. Just like a Transformers movie, the action is loud and fast and doesn’t require much thought. I loved my fights on freeways and in chemical plants, as it gave me ample targets for my explosive trigger finger. The solid variety of weapons kept things fresh for a time and kept me looking for the next unlockable tool of destruction. Outside of the utter chaos each firefight would bring, I really enjoyed some of the platforming sequences in which players ascend the tallest skyscrapers and radio relays, especially when my agent was becoming a borderline demigod—when the controls worked, that is. Even some of the glitches and hiccups had me laughing out loud. At one point I hit the corner of a freeway offramp and my car shot into the sky at a million miles an hour. Not until I landed and my car exploded did I stop laughing, collect my achievement, and move on to the next bit of ridiculous fun. But while some of this was enjoyable, it got old pretty quickly. What’s astonishing to me is the overall lack of polish in the game. Our story opens with a full CG cut scene but then bounces between moving comic-like panels and in-game cut scenes. The character movement feels good when you start to level up, but the controls don’t always register your commands as precisely as you need, especially when climbing gigantic skyscrapers and fighting hordes of enemies. The driving is downright bad and isn’t worth your time, especially when building-hopping is much more fun. The game would also sometimes flat-out stop playing sound when the action reached peak insanity, and my issues got much worse playing multiplayer. Crackdown 3’s problems are never more evident than in its multiplayer suite. The game chugged and struggled to hold its frame rate, even on my Xbox One X. The first few matches were enjoyable as teams of agents decimated the downright ugly playground and each other in search of a victory. But then the games started to feel the same, and I got incredibly bored with the gameplay loop of aim, lock on, kill/die, repeat. At the end of the day, Crackdown 3 feels like a remake of the first game. Collecting orbs never gets old, and there are a good few hours of explosive fun to be had here. I enjoyed the process of leveling up my character’s skills and feeling like a god towards the end of the game. While there’s not a lot of polish, some of the sloppiness had me laughing throughout the nine-hour campaign and kept me coming back throughout my weekend playthrough. That being said, while the game is definitely worth a try with Microsoft’s Game Pass program, it isn’t worth $60. That’s what’s so frustrating about it—Crackdown 3 isn’t a trainwreck. It’s not one of the worst games of all time. It’s fine, albeit forgettable. But fine and forgettable isn’t enough for a game that has such a loyal fanbase and took as long as it did to develop. And if this is truly the end of this fan-favorite series, then Crackdown 3 goes out on one of the flattest finales fans could have possibly asked for. Now if you’ll excuse me, I’ll be playing the first game with a tear in my eye, lamenting what could have been.